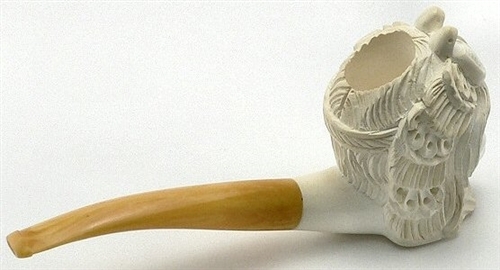 Special African Queen Meerschaum Pipe in Blue Chest - This meerschaum pipe is Hand Carved from 100% Solid Block Meerschaum imported directly from central Turkey. 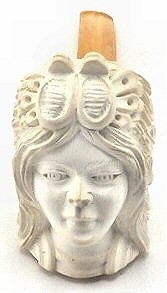 Once carved it is soaked in beeswax so that it will color over time, after being smoked. 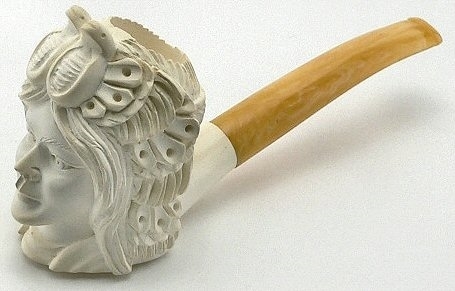 The stem is made from a special Yellow Amberoid material widely used back then and is the original 40+ year old Stem. 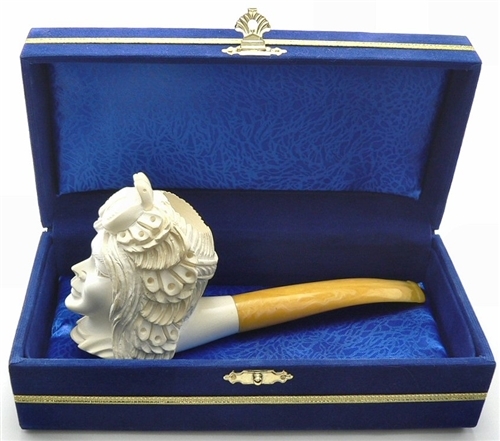 This hand carved pipe comes in a fully lined blue velvet chest. 100% satisfaction guaranteed.